Beautiful Kamakura is only an hour away from Tokyo by train, so why not swap city life in Tokyo for a day exploring one of Japan’s best historic sites on a personalised itinerary? Join a like-minded Local Host and let them introduce you to the natural beauty of the town, which is nestled between forests and beaches. 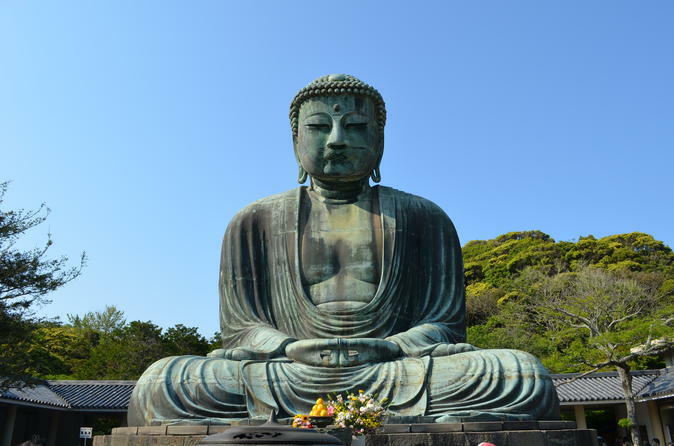 Visit renowned Shinto shrines and temples and discover the town's stunning architecture, as well as sacred Buddhist sites such as the world famous Great Buddha statue too. Escape the hustle and bustle of Tokyo for a day and join a like-minded Local Host to enjoy a day trip to one of Japan’s most beautiful historic sites; Kamakura. Your experience will be completely personalised to your wants, needs and wishes. With your knowledgeable Local Host, discover the most famous attractions such as the Daibutsu, the Great Buddha and Kotokuin Temple. Thanks to your Local Host, you'll also be able to get a off the beaten path (or hiking trail!) and discovering hidden gems tucked away beyond the tourist sites and beach.